Got too much office clutter? Many companies turn to document scanning services to clean up their office, but this solution might not be right for you. Hybrid solutions that incorporate both document scanning and record storage can be the most efficient and cost-effective. Learn more about what that looks like by watching the video below, or reading through the transcript. Document and records management is a core piece of daily business operations, and while it may not be the first cost to come to mind when planning budgets it’s nevertheless a cost that has to be considered. Naturally companies look for any nooks and crannies where money can be saved, and when it comes to storing and managing records there are rocks that many forget to look under. 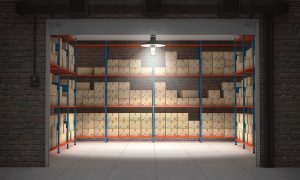 Some go for paperless strategies, while others opt for cheaper offsite storage options—but what if there were a cost-efficient way to have them both? The use of technology is driving more companies to scan their record archives and convert them to digital format for a streamlined paperless office. Despite growing demand for adopting electronic document management, the cost of scanning is still low-running at an average of only 7-12 cents per page scanned. A large company can have thousands of documents, and although scanning is cheap per page, the cost of a massive scanning project can stack up. As a result, rather than scanning an entire archive some companies instead opt for only scanning documents they regularly use, and storing the rest of the records they rarely use as hard-copy to save money. Which Service Fits Your Budget? Both scanning and storing offer cost advantages for managing information, but it may be difficult to parse which is best for you. It can seem like a crossroads decision for a company to use either hardcopy or electronic document management while comparing, but many overlook the third option—combining the two. Hybrid storage options offer the benefits of increased usability and productivity using digital documents in combination with savings from using a cheaper storage option for hard-copies, but that brings up another question—what’s the cheapest way to store? Space Used: With an entire record inventory stored at an offsite facility, zero office space needs to be devoted to filing cabinets, giving companies the freedom to use the space for more employees and other revenue-generating purposes instead. 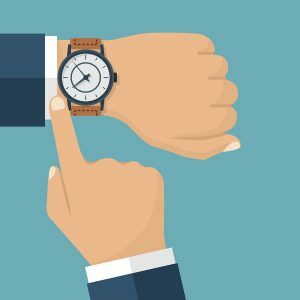 Time Saved: Storage facilities don’t just put file boxes onto shelves in random order—offsite storage providers organize and index all the records you store, allowing immediate retrieval upon request by a company. No More File Managers: Offsite storage effectively bundles a file manager into a the service by incorporating not only record indexing and retrieval, but also retention tracking to comply with legal storage requirements. Looking For Your Cheapest Storage Option? Record Nations partners with professional records management across the nation. We will help you find secure, affordable, and efficient document storage and scanning solutions to meet the needs of your business. Give us a call at (866) 385-3706 or fill out the form on the right to receive several free quotes on document management services in your area.